Craig Hemke, the well-known proprietor of the TF Metals Report invited me on this his new “Thursday Conversation” podcast to discuss the stock market, economy, precious metals and Tesla. “Elon Musk used a Halloween bag full of accounting tricks to generate GAAP ‘net income. '” The fact remains that Tesla is closer to insolvency this quarter than it has been at any point in the history of the Company. By the end of June 2011, the Fed had only reached its half-way mark in money printing. It was shortly thereafter that the Fed had implemented its “operation twist.” Operation twist consisted of selling the Fed’s short term holdings and using the proceeds plus extra printed money to buy Treasuries at the long-end of the curve – primarily 10-yr bonds. That program is what drove the 10-yr bond yield from 3.40% in July 2011 to as low as 1.33% by mid-2016. At one point the Fed owned more than 50% of all outstanding 10-yr Treasuries. The Fed’s massive money hyper-stimulated the housing and auto markets. What should frighten market participants and policy-makers – and really, everyone – is that the 10-yr yield has soared the last Thursday and Friday despite the big sell-off in the Dow/SPX. I say “despite” because typically when stocks tank like that, the money flows into Treasuries as a “flight-to-safety” thereby driving yields lower. When stocks drop like last Thursday and Friday in conjunction with the sharp rise in the 10-yr yield (also the 30-yr yield), it reflects the development of financial market problems that are not superficially apparent. The media narrative attributed Friday’s jump in Treasury yields to the “strong” jobs report. But this is nonsense. The number reported missed expectations. Moreover, the number of working age people “not in the labor force” rose to an all-time high,which is indicative of substantial slack in the labor market. More likely, yields are soaring on the long end of the curve (10yrs to 30yrs) because it was quietly reported that the amount of outstanding Treasuries jumped by $1.25 trillion in the Government’s 2018 Fiscal Year (October thru September). This means that the Government’s spending deficit soared by that same amount during FY 2018. To make matters worse, the Trump tax cut will likely cause the spending deficit – and therefore the amount of Treasury issuance required to cover that deficit – to well to north of $1.5 trillion in FY 2019.
Who is going to buy all that new Treasury issuance? Based on the Treasury’s TIC report, which shows major foreign holders of Treasury securities, over the last 12 months through July (the report lags by 2 months), foreign holdings of Treasuries increased by only $2.1 billion. The point here is that, in all likelihood, the biggest factor causing Treasuries to spike up in yield is the market’s anticipation of a massive amount of new issuance. Secondarily, the rising yields likely reflect the market’s expectation of accelerating inflation attributable to the deleterious consequences of the trade war and the lascivious monetary policies of the Fed. The market is assuming control of interest rate policy. On Tuesday last week (October 3rd), the Dow closed at a record high (26,828). Yet, on that day three times as many stocks in NYSE closed at 52-week lows as those that closed at 52-week highs. Since 1965, this happened on just one other day: December 28, 1999. The Dow peaked shortly thereafter (11,722 on January 10, 2000) and began a 21 month sell-off that took the Dow down 32%. I don’t necessarily expect to see the stock market tank in the next few weeks though, based on watching the intra-day trading action the past couple of weeks leads me to believe that the market is vulnerable at any time to a huge sell-off. The abrupt spike in Treasury yields plus market technicals – like the statistic cited above – lead me to believe that the cracks in the stock market’s “floor” are widening. The above commentary is an excerpt from the latest Short Seller’s Journal. In that issue I presented LULU as short at $153. It’s already dropped $8 and several subscribers and I have more than doubled our money on put ideas. You can learn more about this newsletter here: Short Seller’s Journal information. The SEC ended up settling with Elon Musk for violating securities laws with his “funding secured” tweet. Musk and Tesla will each pay $20 million in fines and Musk will be barred from acting as Chairman of Tesla but will remain CEO. I doubt the SEC will investigate to what extent, if any, Musk and his family and friends took advantage by accumulating stock and call options ahead of Musk’s tweet, which triggered an $87 move higher in the stock price. Certainly we know Musk and his family controls an offshore stock account in the Cayman Islands. Thirty years ago, Musk would have been forced to serve jail time for securities law violations. Ask Michael Milken and Ivan Boesky about that. The last time a corporate CEO was incarcerated for securities laws violations was Qwest’s Joe Nacchio in April 2007. Notwithstanding the fact that Musk remains CEO of Tesla, the Company is on a path toward insolvency within 12-18 months. Just like Enron’s auditors before it, I’m sure Price Waterhouse will have no problem cooking up financial statements for Q3 which show a GAAP-manipulated profit of some sort. But make no mistake, rigged GAAP accounting can not change the fact Tesla continues burning billions in cash – nearly $2 billion in the first six months of 2018 between operating activities and investing activity. I’m hopeful the Justice Department investigation of Musk and Tesla will produce results that are more reflective of Rule of Law than the SEC delivered. Clearly the SEC has once again sent the message to the world that crime pays in the United States if you have a bank account large enough to cover the tab. But, at the end of the day, the fate of Tesla is subject to the Laws of Economics. That is a battle Musk and Tesla have no hope of winning. According to the latest Commitment of Traders Report released Friday and which accounts for Comex trader positioning through Tuesday, August 21, the hedge fund net short position in Comex paper gold futures soared to an all-time high of 89,972 contracts. This represents nearly 9 million ounces of paper gold. It’s more gold than is produced by gold mines in the U.S. annually. As of Thursday, Comex vault operators reported a total of 8.4 million ounces of gold, only 282,000 of which were available for delivery. In other words, the hedge fund paper gold short position exceeds the total amount of gold in Comex vaults. Conversely, the Comex banks are taking the other side of the massive hedge fund short bet. Given the history of extreme positioning by the hedge funds and the banks (the banks are normally short paper gold – thus a long position by the banks is considered “extreme”), it’s a safe bet that at some point in the near future gold (and silver) are set to soar. Perhaps the more interesting question would be to ask why the banks have assumed a large long position in gold. What is it that the banks “see” that has them positioned for a big move higher in the precious metals? Meanwhile, Tesla is the ultimate evidence that no price discovery is not possible in the U.S. stock market. In a market with true price discovery, TSLA would no longer exist. 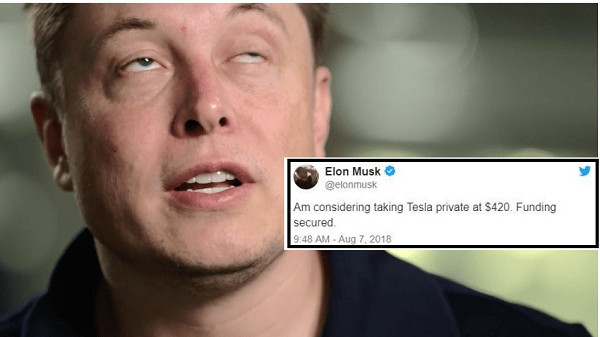 It appears as if Elon Musk was indeed under the influence of illicit psychotropic drugs when he claimed that funding was secured for a going-private transaction. 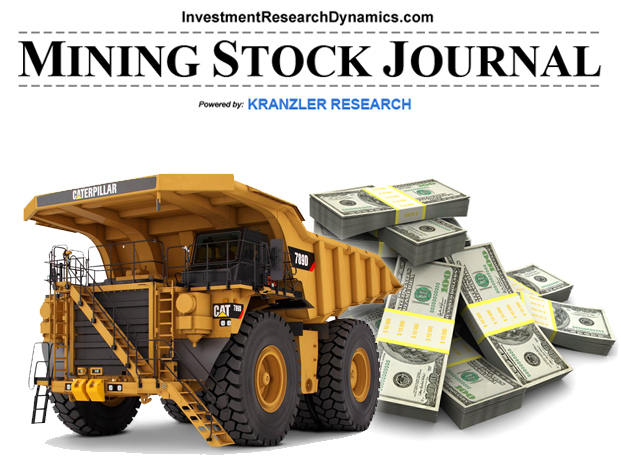 In the next issue of the Mining Stock Journal, I dissect the latest COT report and update my favorite junior mining stock ideas, including a couple of interesting silver explorations stocks. 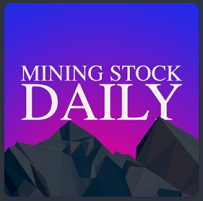 You can learn more about this here: Mining Stock Journal information. The economy may seem like it’s doing well if you are part of the upper 10% demographic. Though, in reality, for most of the upper 10%, doing “well” has been a function of having easy access to credit. NASA Federal Credit Union is offering 0% down, 0% mortgage insurance for mortgages up to $2.5 million. Someone I know suggested the tax cut stimulus had run its course. But the narrative that the tax cuts would stimulate economic activity was pure propaganda. The tax cuts stimulated $1 trillion in expected share buybacks and put more money in the pockets of corporate insiders and billionaires. The average middle class household spent its tax cut money on more expensive gasoline and food. Since the tax cut took effect, auto sales and home sales have declined. Retail sales have been mixed. However, it’s difficult to distinguish between statistical manipulation and inflation. I would argue that, net of real inflation and Census Bureau statistical games, real retail sales have been declining. As an example, last week Black Box Intelligence released July restaurant sales. While comparable store sales were up 0.54% over July 2017, comparable restaurant traffic was down 1.8%. On a rolling three months, comp sales are up 0.46% but comparable traffic is down nearly 2%. With traffic declining, especially a faster rate relative to the small increase in sales, it means the sales “growth” is entirely a function of price inflation. If Black Box Intelligence could control it’s data for price increases, it would show that there is no question that real sales are declining. I have been loathe to recommend shorting restaurant stocks because, for some reason, the hedge funds love them. Housing starts for July, reported last Thursday, showed an 8% decline from June’s number. June’s number was revised lower from the original number reported. No surprise there, at least for me. The report missed the Wall Street brain trust’s expectations by a wide margin for the second month in row. The downward revision to June makes the report even worse. Additionally, housing starts are now down year-over-year for the second month in a row. This report followed last Wednesday’s mortgage applications report which showed a decline in purchase applications for the 5th week in a row. The housing starts number continues to throw cold water on the “low inventory” narrative. While there still may some areas of housing market strength in the $500,000 and below price bucket, the mortgage purchase applications data has been mostly negative since April, which reflects deteriorating home sales. This reality is “magnified” by the fact that home sales have declining during what should be the strongest seasonal period of the year for home sales. Lending Tree, Zillow Group and Redfin are “derivatives” of housing market activity. They reflect web searches, foot traffic and sales associated with mortgages and home sales. Lending Tree stock is down nearly 42% late January. Zillow stock is down 26% since mid-June. Redfin is down 39.5% since the beginning of the year, including an 18.5% plunge two weeks ago. unequivocally, these three stocks reflect the popping of the housing bubble. The Short Seller Journal recommended shorting all three of these stocks before their big declines. Normally I’m hesitant to discuss the regional Fed economic surveys because they are skewed by their expectations/outlook (hope/sentiment) components. However, the Philly Fed survey for August was notable because it reinforced my view that the economy and the “hope” for a better economy is fading quickly. The overall index crashed to 11.9 from 25.7 in July. This is lower than just before the Trump election, when “hope” soared. Wall Street was expecting a 22.5 reading on the index. The new orders, work week and employment components plunged. Shipments dropped, inventories rose and prices paid fell. This report reflects the view that economy is much weaker than is conveyed by the political propaganda coming form DC. I don’t know what it will take to cause a plunge in the Dow, S&P 500 and Nasdaq but, as we’ve seen with homebuilder stocks, there’s a lot of opportunity to make money on economic reality in the lesser-followed sectors of the stock market. 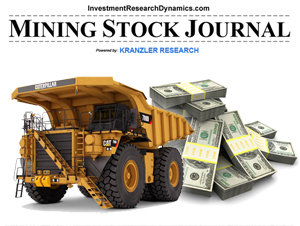 Myself and my Short Seller’s Journal subscribers have been raking in easy money shorting the homebuilder sector and, of late, Tesla. I’ve been including detailed analysis of Tesla, why it will likely be out of business within 2 years and ideas for using puts to short the stock. 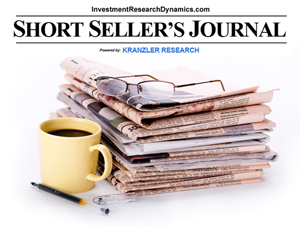 You can learn more about this newsletter here: Short Seller’s Journal information. That egomaniac [Elon Musk] just paid for my new landscaping. LOL! Cashed in on some Jan 2019 100 & 200 puts for a 175% gain. Should be interesting to see how and how long this debacle plays on. – subscriber feedback. Perhaps the most baffling aspect of the Elon Musk “Funding Secured” tweet is the number of financial media outlets and so-called “analysts” that are taking it seriously. The idea is a complete joke. 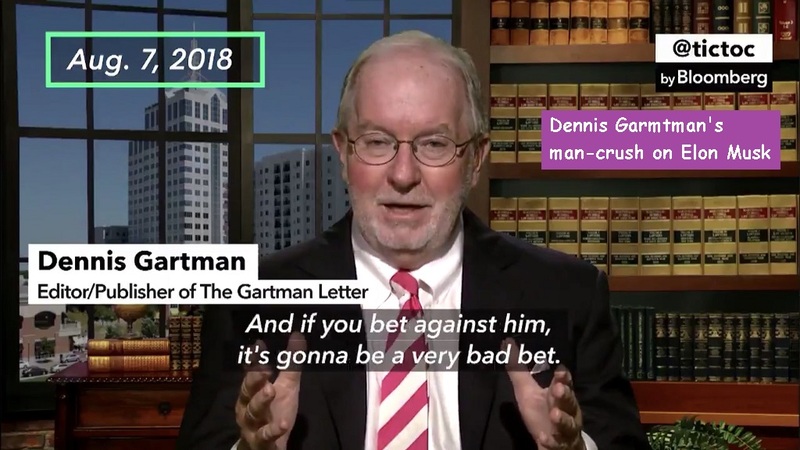 Any valuation in excess of potential asset value minus the debt and other liabilities (included in “liabilities” will soon be a flood of lawsuits). Some bucket-shop stock analysts issued reports explaining why a buyout of Tesla could occur at an even higher price. We’re beginning wonder if the Tesla buyout idiocy will mark the end of the valuation insanity that has permeated the entire U.S. stock market…Meanwhile, hedge funds assumed a record short position in Comex paper gold futures. This along with the worst sentiment toward the precious metals since early 2001 and late 2015 suggest the potential for a bottom in gold, silver and mining shares. Tesla is on its way to bankruptcy. I don’t know how long it will take that to occur but the Company will be insolvent if it can’t raise money before the end of the year. I explain why a buyout of the Company is next to impossible in the next issue of the Short Seller’s Journal and offer several ideas for using put options to express a bearish view of Tesla stock. Elon Musk has turned the U.S. capital markets into a complete farce. He’s made of mockery of the fact that the regulators no longer enforce rule of law. The idea that any financial institution on earth would fund the largest leveraged buyout in history at a level that values Tesla on par with Volkswagen – the world’s larges car manufacturer – is beyond absurd. We should hope and pray that some truth-seeking entity will hold Musk accountable for what is likely a highly fraudulent claim. Or, then again, perhaps Musk took one of his flying automobiles and went to Mars on Monday to “secure funding” from his Martian financiers. A careful dissection of Tesla’s latest 10-Q reveals a Company with negative working capital and an unmanageable level of debt and other fixed commitments headed for eventual insolvency. I am pretty amazed/disgusted that we haven’t come to terms (as a society) with social media. It is in this grey area where leaders of Government and corporations can walk a tight rope of truth/fiction without any consequence or regard for the affect of the immorality and illegality. Narcissistic psychopaths like Musk utilize cult of personality to harness the power of the hopelessly ignorant looking for a guru; looking for a reason to justify their worst impulses and implausible fantasies. From a social science standpoint: it is interesting. From a person of the society: it is mindblowingly frightening.